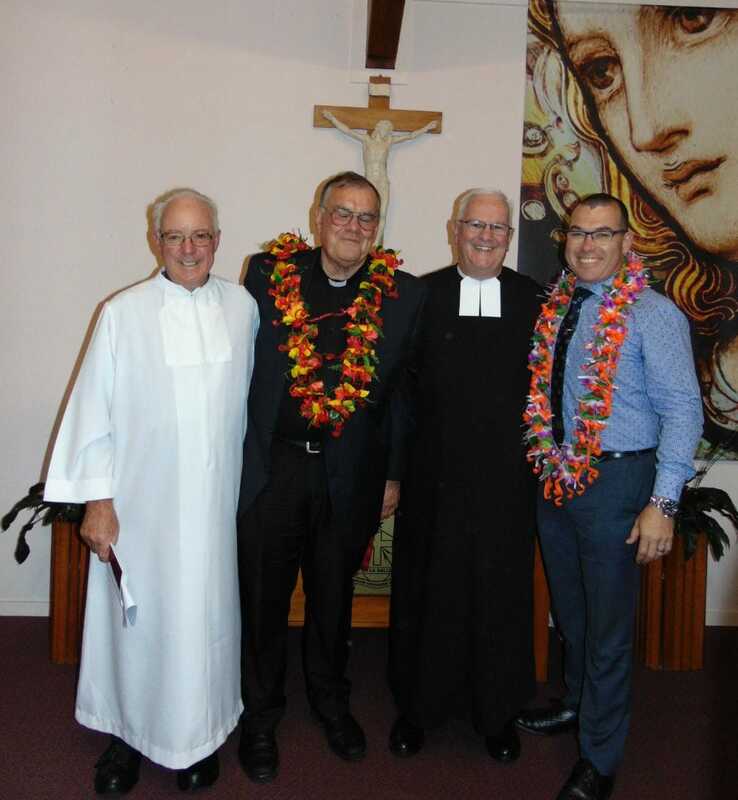 The Chapel of St John Baptist de La Salle at De La Salle College, Mangere East was the setting for the Affiliation Ceremony of Mr Kane Raukura and Fr Brian Prendeville SM on Saturday 28 October 2017. Over 80 guests, including Brothers from Australia, Pakistan and Papua New Guinea, were formally welcomed by Sir Br Patrick Lynch, Sector Co-ordinator. The singing of the opening hymn of the Liturgy, 'We Are Here in the Presence of Our God', set the atmosphere for a very moving ceremony. Br Jack Iremonger and Sir Br Patrick Lynch read the letters of citation in support of Fr Brian Prendeville and Kane Raukura. Both men were recognised for their outstanding contribution to the Lasallian mission, and their support of the De La Salle Brothers, especially in Aotearoa New Zealand. 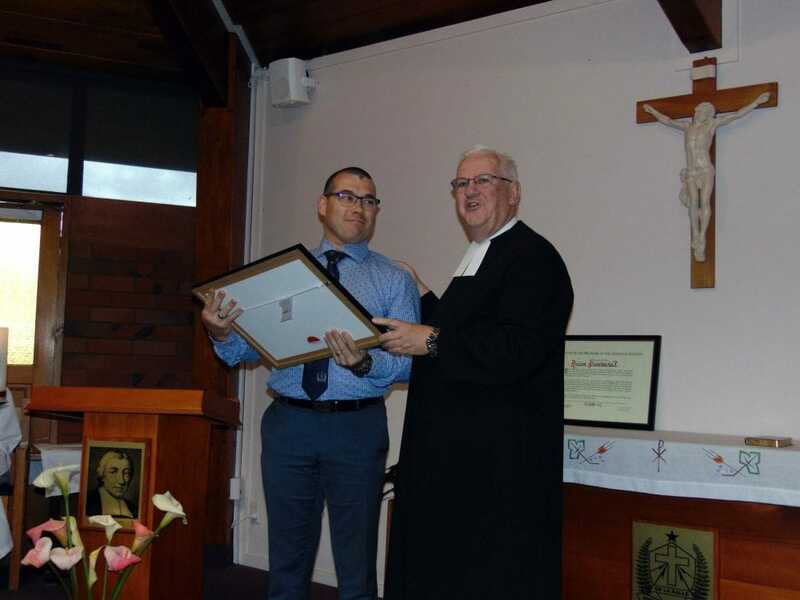 Br David Hawke, Visitor representing the Superior General presented the Letters of Affiliation and the symbols of Affiliation to Fr Brian and Kane. A stunning performance of the Haka by the young men of De La Salle concluded the presentations. In their response both Fr Brian and Kane expressed their sincere gratitude for being granted the honour of Affiliation. A celebratory Dinner followed in the Brothers' House. 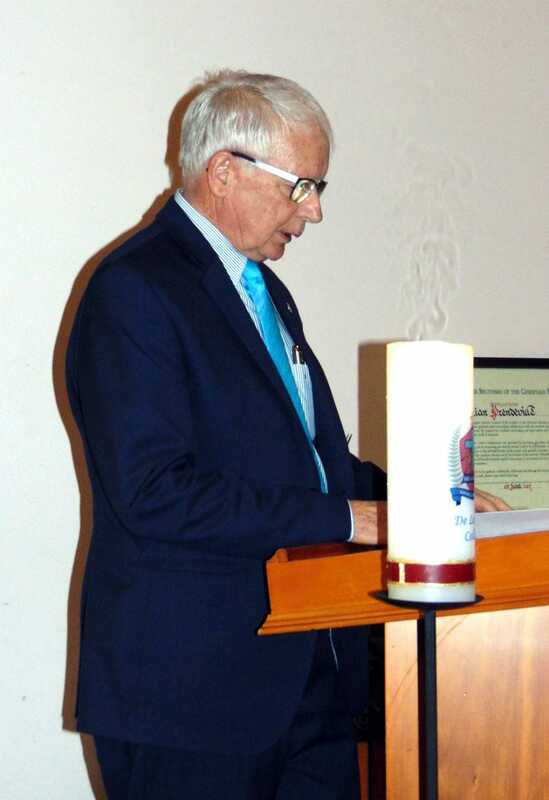 Guests in attendance included family members and friends of Fr Brian and Kane as well as other Affiliated members and Benefactors from New Plymouth and Auckland. Sincere thanks were expressed by Kane and Fr Brian for the number of Brothers who were in attendance. Thanks to Sir Br Pat Lynch, Br Raymond Khan, Br Lewis Harwood, the local Brothers' Community, Mr Denis Tukaka and the "team" from De La Salle for this wonderful occasion as the Brothers of the Christian Schools welcome two more Affiliated Members.